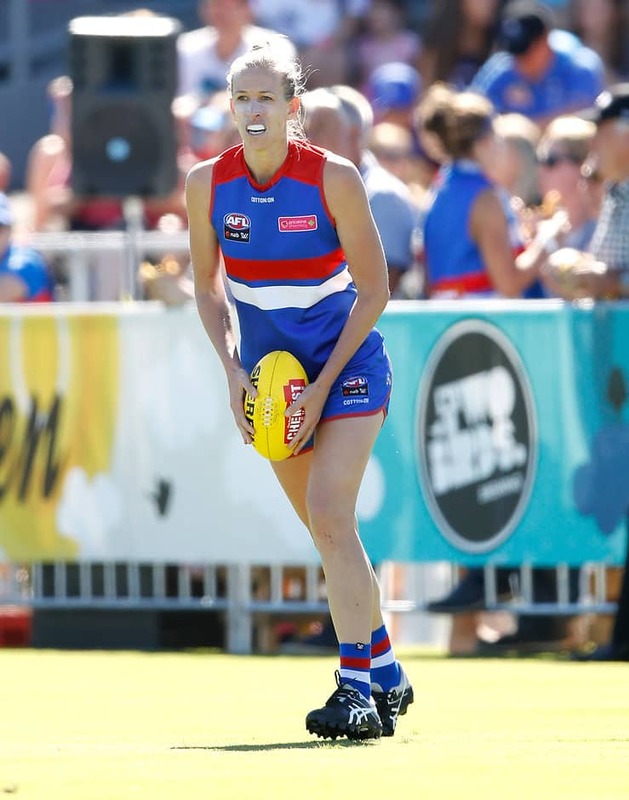 AFL Women's premiers the Western Bulldogs are casting their net around the world in the hunt for a rookie to add to their list for the 2019 season. The Bulldogs have partnered with international AFL bodies such as AFL England, AFL Ireland Women's, AFL Europe and AFL Canada to promote its international rookie program 'CrossCoders'. The definition of an AFLW rookie has changed from season to season, but for 2019, an AFLW rookie would not have played Australian football in the past three years or been involved in an AFLW high-performance program. Bulldogs coach Paul Groves told AFL.com.au Bulldogs key defender Lauren Spark, who played for the Wimbledon Hawks in London for several years before being drafted and moving back home to Australia, was an influential part of the program. "Lauren's a teacher as well as a player, and is looking to expand her future in life after footy," Groves said. "CrossCoders developed in discussions with her, the networks she's got overseas, and looking at how we facilitate ways for talented females in other countries to come to Australia and play AFLW. "We're always looking for the best talent. The way the competition's set up at the moment, the AFL has given option to put cross-coders on our rookie list. We're proud with how our rookie process has gone over the past few years, with Libby Birch (netball and hockey), Kim Rennie (basketball) and Aisling Utri (hockey). We're just casting the net a bit wider." Interested potential players can apply through the CrossCoders website, with a week-long crash-course camp in Melbourne in late September for invited applicants. There, players will have sessions on game rules, take part in physical and skill testing and match simulation. At the end of the camp, one or more may be offered a rookie contract. "We've had phenomenal interest. It's just been a soft launch so far (and we're) looking to ramp it up next few weeks," Groves said. "We've had girls apply who play AFL in Europe, America or Canada, significant interest from Gaelic footballers, which is completely the effect (Greater Western Sydney's Cora Staunton) has had. "There has also been a lot of interest from college athletes from volleyball and lacrosse in America, athletes who are finishing their studies and looking at what else is out there," he said. "There's been some interest from rugby union and sevens players, now the Olympic tournaments have been held, as well as some from European soccer players."